The construction of homes and appliances is an area that is constantly improving. So it is strange to think that so many are still using the traditional and outdated methods of the past instead of the more efficient way of doing things. At Shelterwood, we promote building methods that are supportive of the environment and lead to less money spent on energy bills. While others are living in the past, we are focused on building the future. Water blown spray-foam insulation is one of the best ways to prevent outside air from entering your home. A chemical mixture is spayed into the walls, which expands to fill any open space creating a permanent barrier against hot or cold air loss. Contact SprayFoamguys.com for more information. Cellulose insulation is a fiber material that’s sprayed into a wall’s cavity during construction. This material yields higher thermal ratings due to the manner in which it fills voids and seals out airy drafts. 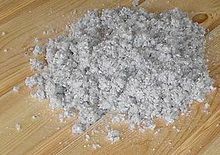 Not only is cellulose healthy for your home, the natural chemical composition can also hinder insect infestation and is fire and mold resistant. In certain projects, using cellulose in conjunction with spray-foam is a cost effective alternative. Structural Insulated Panels (SIP’s) are a popular option for home construction, because SIPS are pre-engineered and pre-cut panels that act as both structural and energy efficient methods and materials and can be measured and pre-cut either on or off a jobsite. 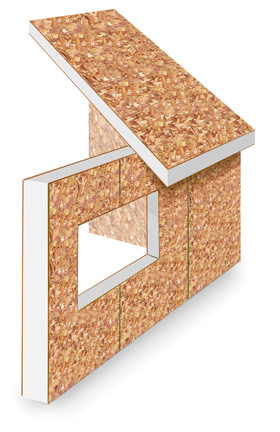 The sheer strength and resource efficiency make SIPs a sustainable technology. No CFC or HCFCs are emitted during manufacturing and panels can be cut to size, translating into no overage or wasted material. Using SIP’s on your project also dramatically decreases the amount of time it takes to complete your project, since the panels are manufactured in advance. Geothermal technology uses the relatively constant temperature of the earth deep below your home to provide heat in the winter and cool in the summer. During the summer, the temperature in your home is higher than the temperature underground, so some of that heat is dissipated underground, cooling your home. In the winter,the process works in reverse. Heat pumps extract heat from the ground and use it to heat the building. Geothermal technology will decrease the energy costs for your home by 60%, increasing sustainability and decreasing your environmental dependence on energy derived from fossil fuels. Solar technologies use the sun’s energy and light to provide heat, light, hot water, electricity, and even cooling for homes and businesses. Shelterwood strives to be a leader in providing the three major types of solar energy: photovoltaic (PV) cells, passive and hydronic solar heating. PV cells capture the energy from the sun, concentrate it, store it and convert it to electricity for various functions such as heating hot water tanks, radiant heating and pool/spa heating. PV panels are strategically placed to increase aesthetics an access to unrestricted sunlight. Passive solar heating on the other hand involves the strategic placement of structures and windows, sometimes referred to as daylighting. Daylighting lets you enjoy the natural light and the sun’s warmth while saving on energy bills.